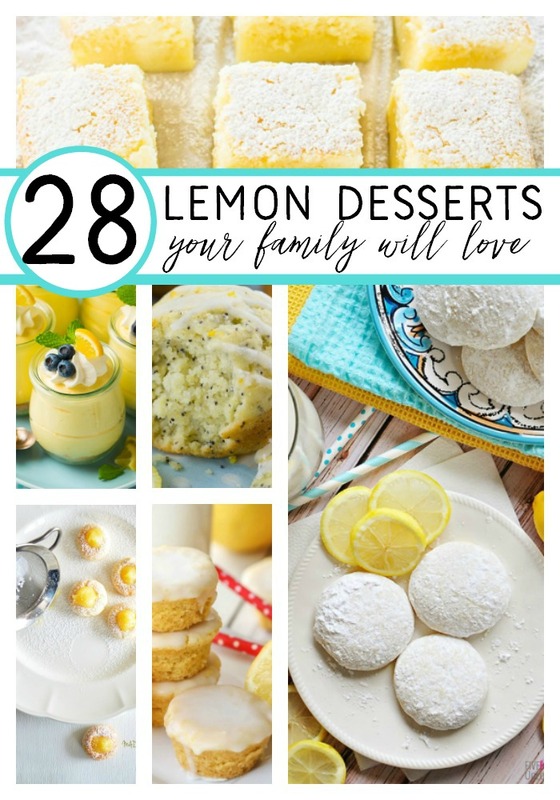 Lemon dessert recipes are perfect for year-round gatherings and conversations among family and friends! Want to inspire your sweet tooth? 1. This No Fail Lemon Blueberry Poke Cake uses homemade blueberry jam and lemon Jello Instant Pudding to make this incredible dessert! Crystal & Co.
10. 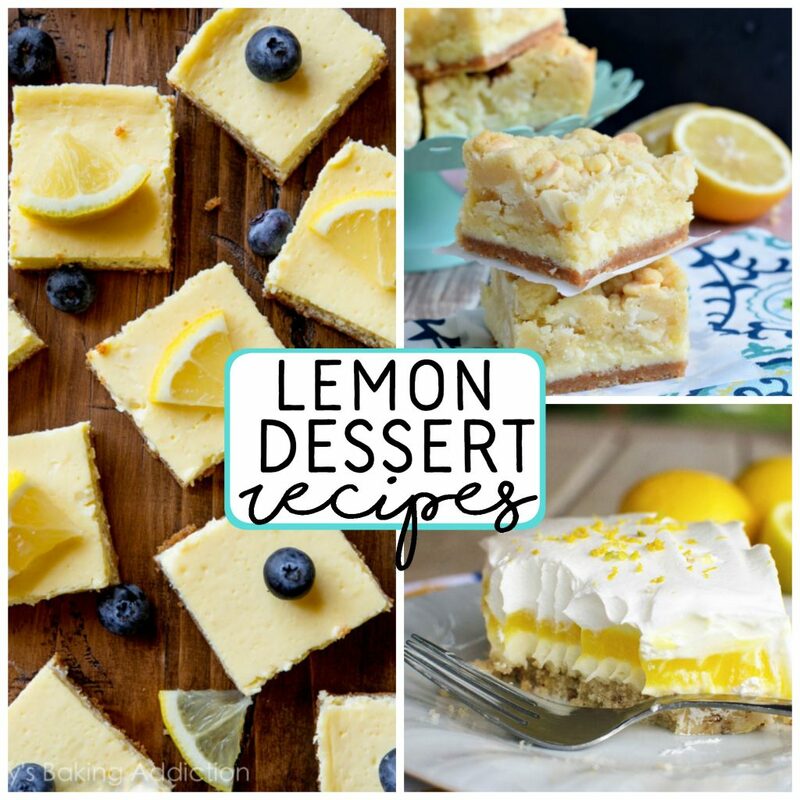 This recipe for Lemon Bars is super easy and the lemon flavor is so good too. Oh My Sprinkles! 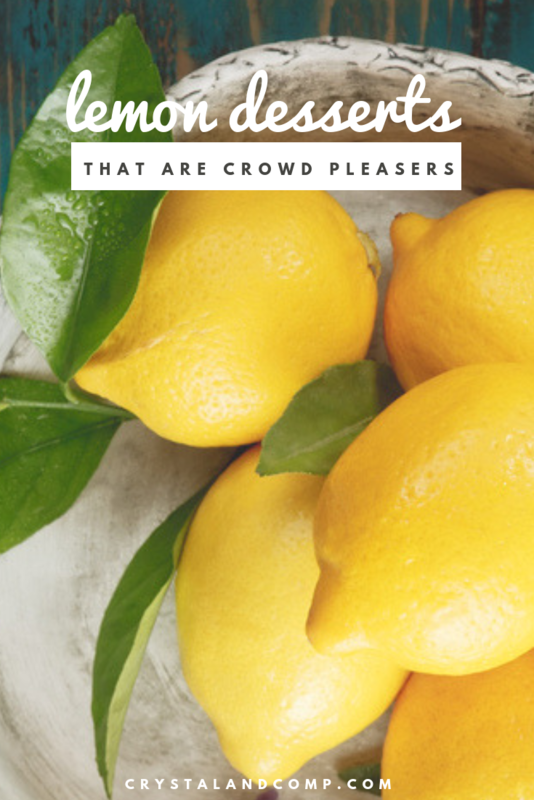 What lemon dessert scream summer for you? Share your ideas! 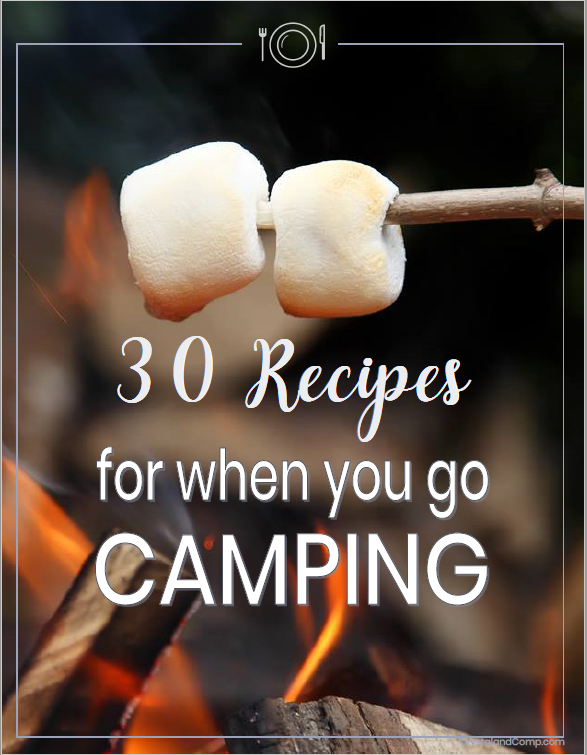 Check out our 30 camping recipes!